Samsung Gear S3 Classic And Frontier Pre Order Announced, Priced At PHP 16490! Home / accessories / news / samsung / Samsung Gear S3 Classic And Frontier Pre Order Announced, Priced At PHP 16490! Today, Lazada Philippines has announced the pre-order for the new and improved Samsung Gear S3 smartwatch. If you can recall our previous post, the Samsung Gear S3 is equipped with a bigger and tougher screen compared with its Gear S2 predecessor by using a 1.3 Inch Circular Super AMOLED w/ Gorilla Glass SR+ protection for wearables. It still has the still has the popular rotating bezel and now has a military grade hardware w/ IP68 water and dust resistance. 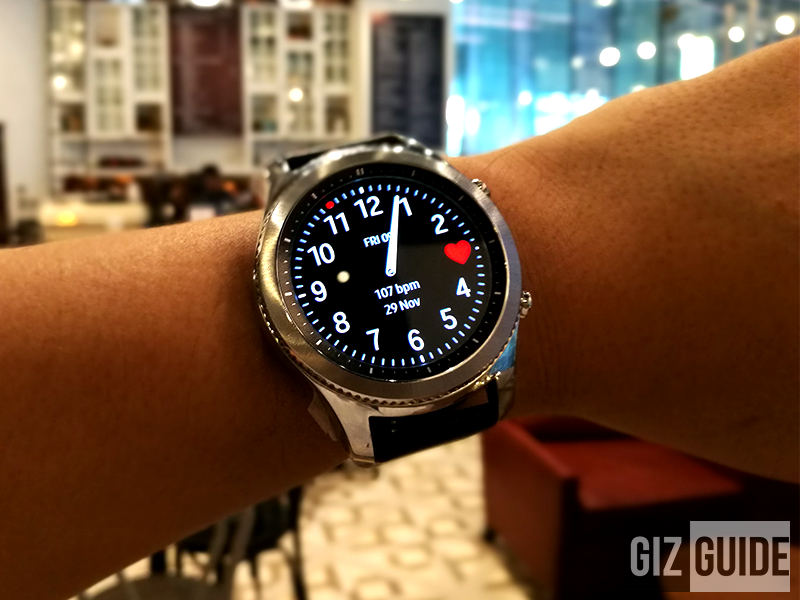 Related: Samsung Gear S3 Classic And Frontier First Impressions: The Smartwatch To Beat? It's software is also updated which can now recognize hand written text where you can put your reminders and etc. The rotating bezel can now be used to accept or decline calls as well. At Lazada's Grand Christmas sale, pre-order of the Samsung Gear S3 will start on December 12, 2016 to January 8, 2017. The Samsung Gear S3 Classic will come with FREE two Alligator straps while the Samsung Gear S3 Frontier is bundled with FREE two Silicon straps. Shipping will start on Jan. 16, 2017.